Hi Roxanne, Stacy Brown...amazing amazing amazing...you are absolutely amazing! I love reading your blogs and you'll never know how much you have inspired me to try some new things. 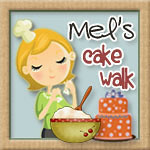 I am absolutely delighted to read how you create your beautiful cakes...Let me know if you're ever in the Seattle area.